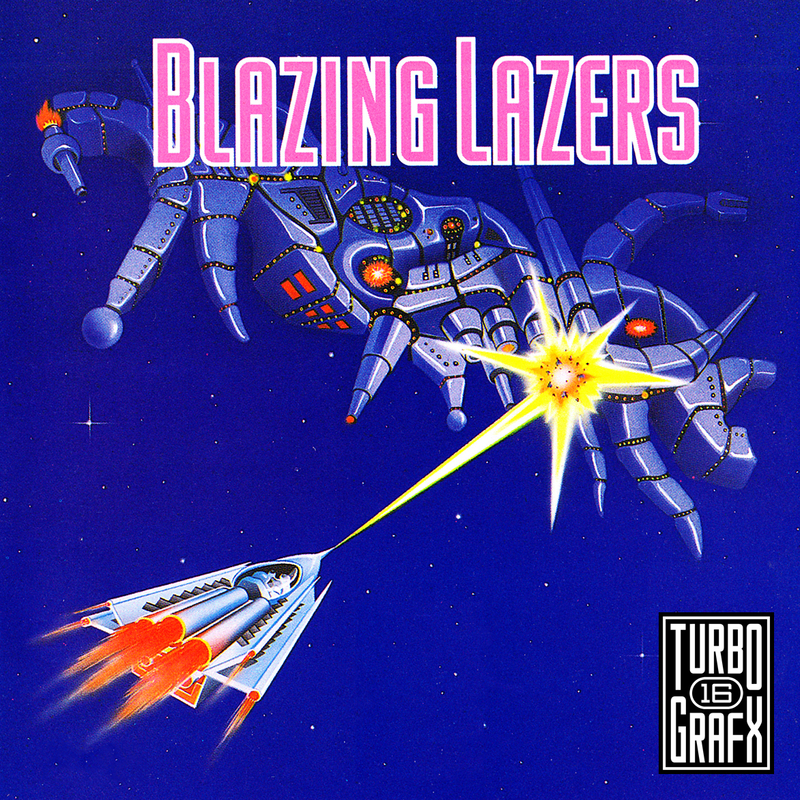 Co-developed by Hudson and celebrated shooter developer Compile, Blazing Lazers was the lone shooter available at the launch of a system that would gain a cult following because of them. The game was released in Japan as “Gunhed” and was based on a mecha-themed movie of the same name. In Blazing Lazers you can choose between four main weapons, which you switch between by picking up the appropriate power-up icon. It can be easy to develop an affinity for one over the others, but experience will teach you that different weapons work better in different situations. You also have your choice of several secondary weapons or defensive devices, including a set of multibodies, homing missiles, or defensive shields, which you activate the same way. The game throws so many of these weapons power-ups at you that avoiding the weapons that you don’t want becomes just as much of a chore as avoiding enemies. You also amass bombs, and in the earlier stages I tend to forget about them so that I end up with upwards of 20 by the time they’re needed. The graphics do an excellent job of showing off the Turbo’s visual capabilities, and there’s a tremendous amount of variety between stages. The game is also very fast-paced but has no slowdown, at least that I’ve ever experienced. The soundtrack is nothing less than outstanding, which I’ve come to expect from the PC Engine and Turbografx libraries. The difficulty curve in this game is such that the first few levels are pretty easy, before things start to toughen up sometime around the halfway point. Thankfully, the game is very generous with extra lives (you can get at least 3 in the first level alone, just from hitting points benchmarks), meaning that you should have a decent stockpile to draw from by the time you start needing them. When you die in this game you don’t re-spawn on the spot, but rather get sent back to a checkpoint. This might seem like a bum deal, but if you get killed by a boss, it’s nice to have a chance to power your ship back up before facing that boss again. Blazing Lazers is an incredible game, not only one of the best titles available at launch, but one of the very best games on the platform. This elevates the game to “must-buy status” as it is a required part of any Turbografx or PC Engine Library. Tagged Blazing Lazers, Compile, Husdon, launch, nec, Review, Shooter, turbografx-16. Bookmark the permalink.